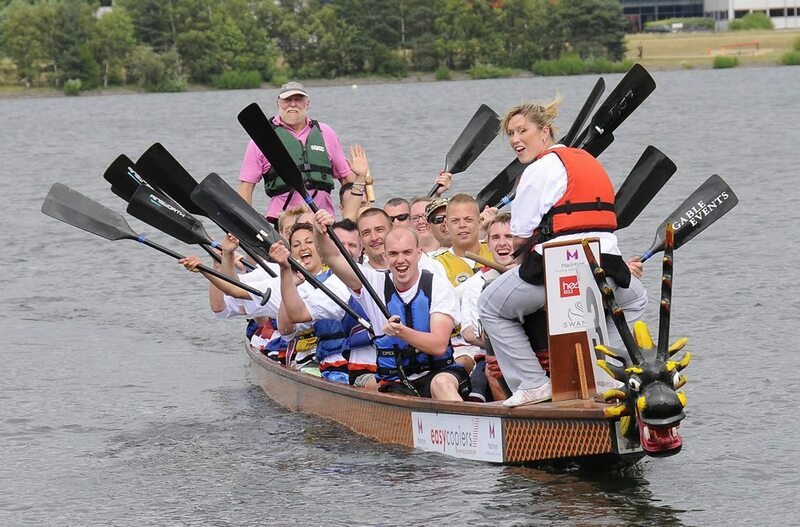 Corporate dragon boat events are an exciting way of motivating and integrating staff from all areas of the company. Part of the sport’s amazing appeal is its ability to get everyone working together in a very short space of time giving a real and lasting sense of individual achievement and team spirit. With no previous experience required, everyone has an equal chance of success and is kept occupied at all times. After a safety briefing we’ll launch straight into your first timed race. We’ll then work through a wide range of rowing techniques that emphasise both working in harmony and rhythm with your team. The event culminates in a series of races that use the learnt techniques and demonstrate the increased power and merit of a team working together when comparing the results times to the first race of the day. 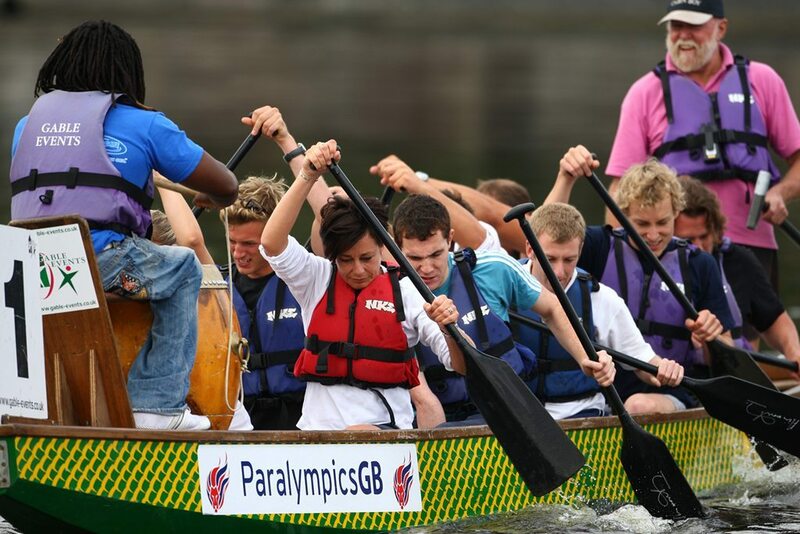 Dragon boating is extremely fun and is also a great idea to incentivise and reward your team. Our venue is decorated with Chinese style flags and bamboo poles and the winning crew each receive medals at the end of the day. We will provide each person with a buoyancy aid. There is no need for wetsuits, you will just need to wear suitable, practical clothing and footwear. Our Dragon Boat activity can be coupled with a meeting or land-based team building event with our Venue hire and catering facilities.